Whether on-site or via live virtual presentation, our educational sessions are tailored to fill the gap between medical training and business training and provide physicians with practical advice and strategies to help make sound financial, legal and business decisions. Please note that On-Site Sessions are dependent on the availability of our advisors and we typically recommend scheduling at least two months in advance. Click here to request more information or schedule a presentation. A summary of each educational session that we provide is outlined below. 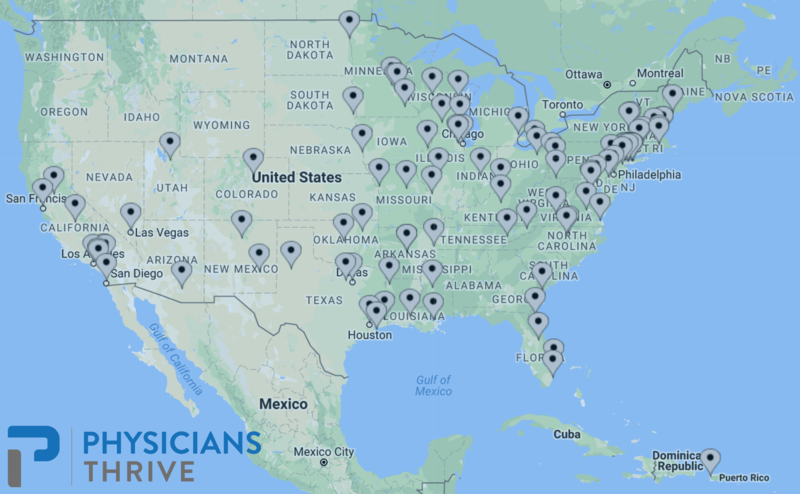 Transitioning from Training to Practice is Physicians Thrive’s flagship presentation which was created to be relevant across all specialties and all physicians at different points in training. The presentation provides an overview of considerations and challenges that all physicians face as they transition from residency or fellowship into practice and how to proactively plan to successfully navigate potential pitfalls. Physicians are on a unique financial journey with many fiscally lean years during training and often a six-figure debt load. This intensely practical session tackles tough financial choices head-on and is ideal for 1st year residents and 3rd year fellows alike. While physicians in their last 3 years of training are especially interested in evaluating contracts, even 1st year residents would greatly benefit from understanding the changing dynamics of physician contracts. Your physicians will leave this session empowered as they weigh job offers and negotiate terms. In today’s healthcare market, it is never too early to begin thinking about and implementing a plan to land the job you’ve always wanted. With action steps starting in the 1st year of residency, this session provides practical guidance for THE job search. From Residency to Retirement is our popular comprehensive 4-5 hour workshop in which our advisors cover some of the most important foundational business pieces all physicians must understand to help achieve success in their practice and personal lives. The interactive workshop provides physicians with more in-depth information regarding interview preparation, successful interview techniques, overview of employment contracts for various compensation structures, understanding contract negotiation, common contractual mistakes, income protection strategies, financial planning, tax planning and wealth accumulation. If you are interested in having our team provide an educational session on specific medical, legal or financial topics that are relevant to residents and fellows, please contact our team to discuss planning a tailored session for your program.